​​Fence Oil Booms are containment booms designed to float with fixed, horizontally arranged floats of polyurethane hard foam or foam material. ​​​These oil booms are, however, not round as usual but attached in the form of flat panels. This enables a space-saving folding of the oil boom into neat parcels that can easily be stored in vehicles or boats, so that the oil boom is ready at hand in an emergency situation and can be quickly deployed. The Fence Oil Boom can alternatively be stored wound on reels. This system is particularly helpful for ports and harbours where a fast response time is required. Fence Oil Booms are tipically used for static or low current applications. 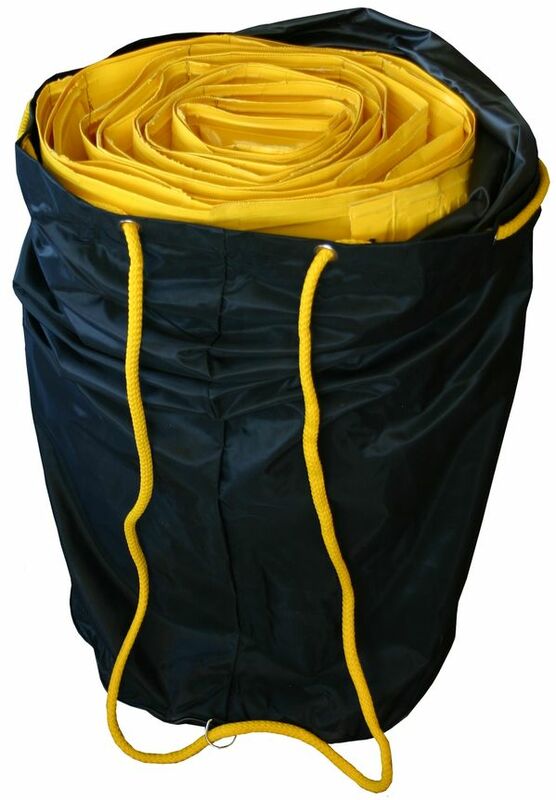 The basic material of the boom is normally fully welded PVC fabric. The ballast weights of zinc-plated steel (they were previously made of lead) are enclosed in the pockets of the floats.